The factual and legal challenges of family law practice can present enough trouble for someone facing a divorce or child custody dispute. The personal, financial and emotional stresses of a family law problem can make the situation even more difficult to deal with. At The Bellon Law Group, our lawyers know what you're going through, and we know how to help people keep the emotional turmoil under control by showing you how the legal system can protect your interests. Once you understand your rights and responsibilities, you'll be in a good position to define your own goals and explore your legal and practical options for achieving them. To learn how you can benefit from the advice and support of experienced St. Charles family law attorneys, contact our office for a consultation. Visit Our Blog For More Information On Missouri Family Law and Your Rights: St. Charles Divorce Lawyer Blog. Douglas Bellon heads our family law practice, and he knows how to work with a wide range of legal problems for people in widely differing personal circumstances. Our firm's clients reflect the full spectrum of occupations, educational levels, income levels and demographics of St. Charles County, Lincoln County, Warren County and the St. Louis metropolitan area. Our goal in each case is to help you find a path toward a positive outcome for yourself and your children. 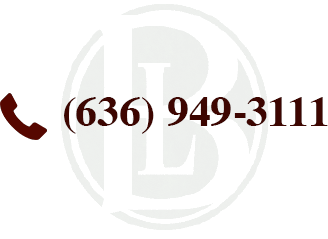 For additional information about the ways we work with clients across the range of Missouri divorce and family law problems, contact The Bellon Law Group in St. Charles.